13th September 2013, my first master class on “Design Thinking and Innovation” at Laurea University and I must say What A START!!! It was a very exciting day meeting all new people and introducing each other in all different ways. For example by creating persona, empathy maps and bingo game, this made it easier for our SID2013 batch to know each other better. This is when I realized that it is going to be an exciting learning journey ahead! Our day began with fun-filled group activities followed by introduction in to the concept of Design Thinking and Innovation. Special Thanks to Professors Katja Tschimmel and Gijs van Wulfen for introducing me to the world of different methods and toolkit used in the process of Service design and Innovation. Design thinking is an iterative process!! Prof. Tschimmel explained the concept very well that design thinking is an experimental and iterative process, not a linear process. 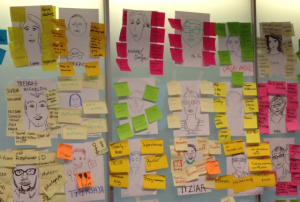 Also it can be seen as a collaborative and participative process. This iterative process model is composed of four phases: Exploration(understand and observe), Creation (choose and define) Reflection (prototype & test) and then Implementation, simple isn’t it? 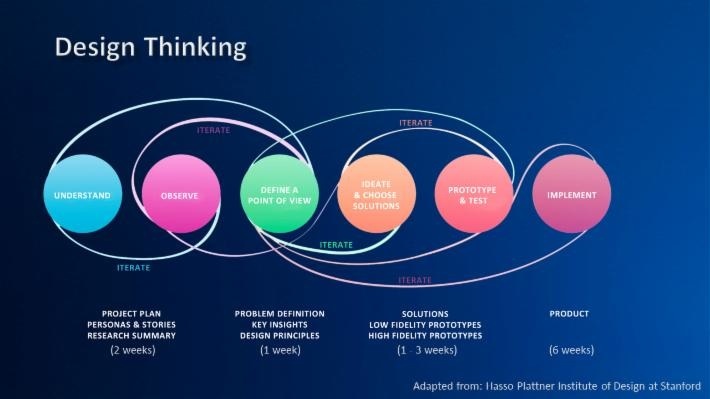 Design thinking is all about transforming process in to evaluation and there are variety of tools that designers can use, such as visually related tools – drawing, sketching, mapping and prototyping.